How many times have I made this tomato chutney, but it never got a chance to be posted here. I have mentioned it so many times, this is the favorite chutney at home, ask my daughter any day, she would say, idlis and tomato chutney is the best combination. Every time I made it, I would think, okay, the next time I would click pictures and post it and finally last week I did it. It's an easy and delicious chutney to go with idlis, dosas and adais..
Heat some oil, first saute the chillies for a minute and remove, then add the onions and saute till it turns translucent. 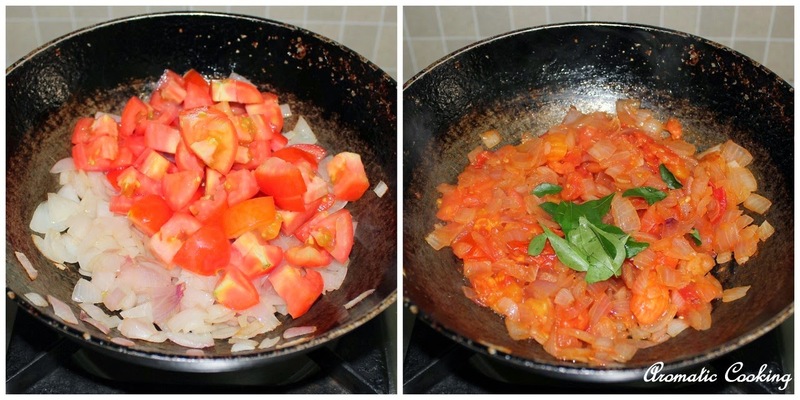 Add the tomatoes, a little salt and saute till it breaks down and becomes mushy. Finally add the curry leaves and mix for a few seconds, remove and let it cool down. 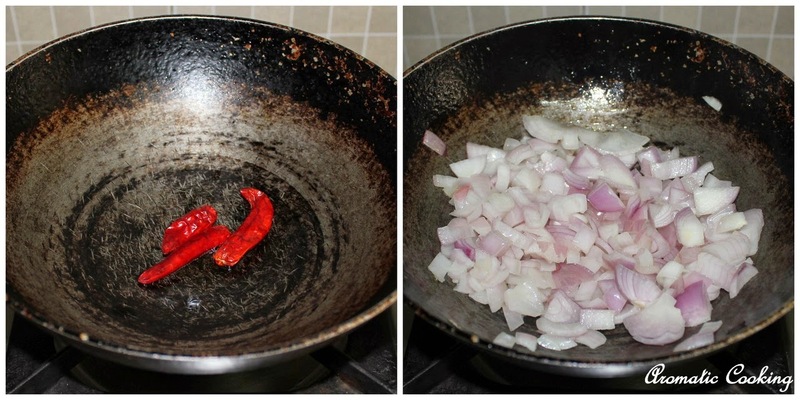 Grind the onion-tomato mixture along with the red chillies and some water. 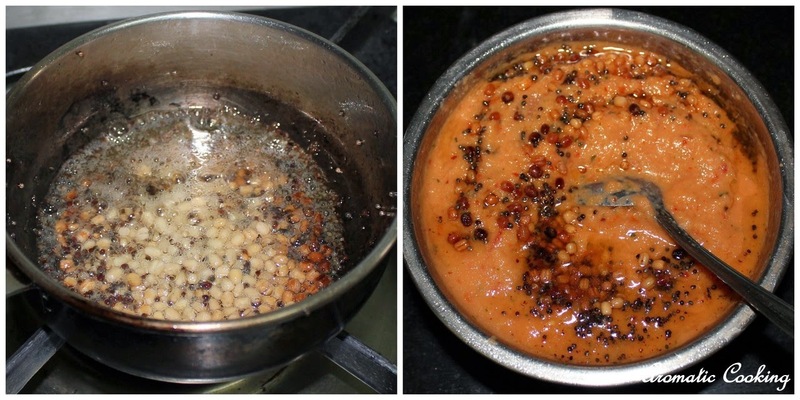 Heat some oil, add the urad dal and mustard seeds, when it starts spluttering, add the asafoetida, mix and add this to the ground chutney and serve. 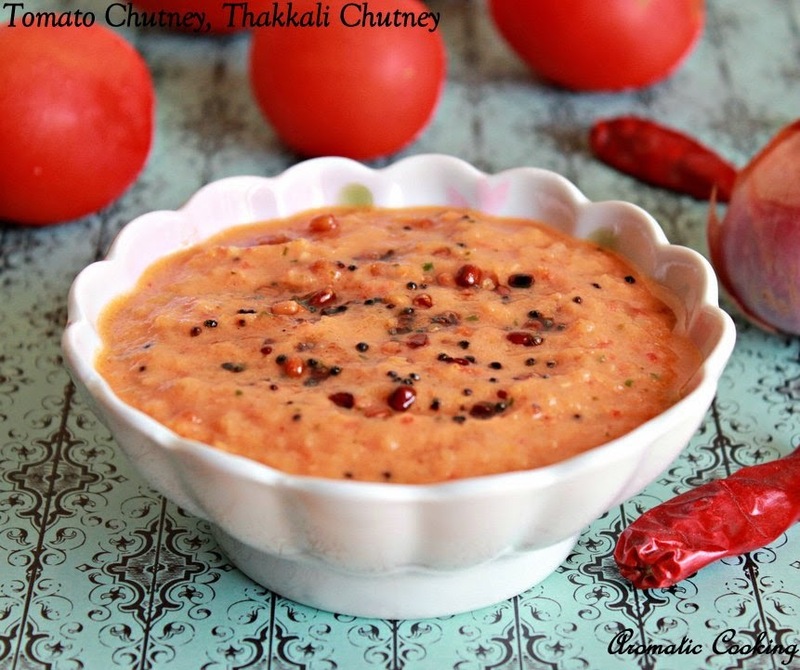 If the tomatoes are too sour ( like the naatu thakkali in India ), then reduce the tomatoes to 2, otherwise, the chutney will taste very tangy. Using sesame oil for everything gives a nice flavor to the chutney. I grind the curry leaves along with the tomatoes, so that we don't pick out them and throw it, if you want, you can add some along with the mustard seeds and urad dal and add it to the chutney. Don't make the chutney to a fine taste, grind it a little coarsely. Can add a couple of garlic cloves along with the onions, in that case, leave out the asafoetida. Love this tangy and tasty chutney! my favorite chutney with dosas ,yummy!!! 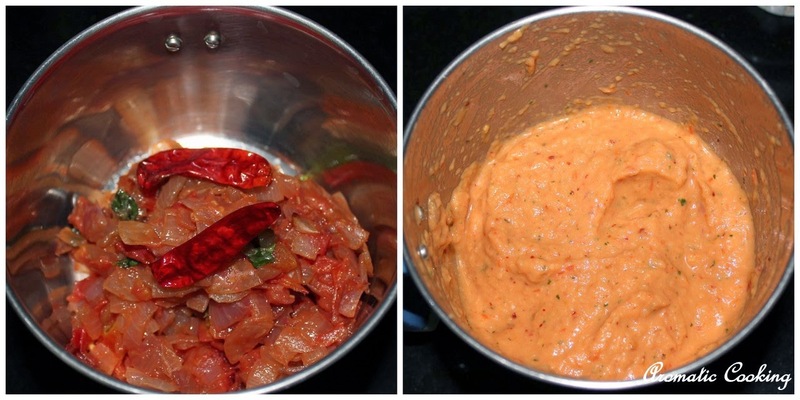 fantastic chutney , even i prepare the same way but without adding dry red chillies. 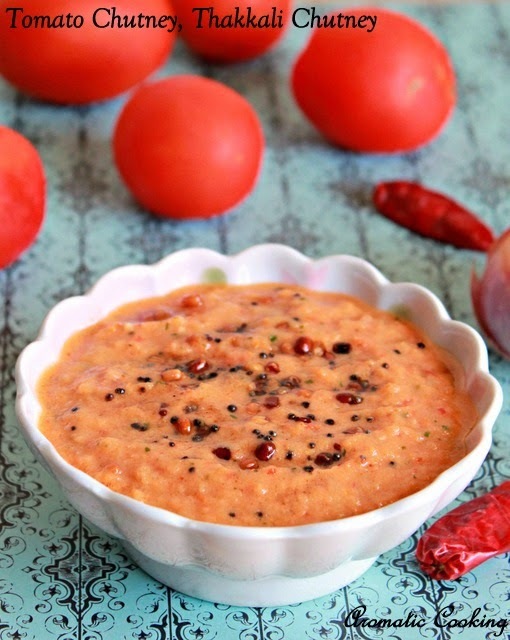 I love tomato chutney! Have to give your recipe a try next time. I also add fenugreek seeds in my version. Love the colour of the chutney, so pleasant to the eyes. Tasty n yummy luking chutney!! Nice clicks and a yummy chutney!